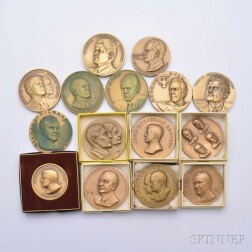 Save your search - find out immediately when "Presidency of Dwight D. Eisenhower" is available at auction! 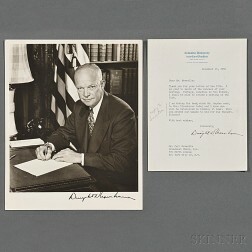 Eisenhower, Dwight D. (1890-1969) Signed Photograph and Typed Letter Signed 16 December 1950. Three President and Mrs. Dwight Eisenhower Christmas Cards and a Framed Portrait of Robert T. Paine.